Is it a cookie, pie or maybe a bit of both? You decide. I made these scrumptious Reese Pie Cookies using refrigerated pie dough, Reese spread, milk chocolate chips and a simple egg wash. They were easy to make and look so cute too. I had an American friend ask me why I was calling it “Reese” instead of “Reese’s” as it’s known in the USA. I told her that this sweet chocolate peanut butter spread was known as Reese in Canada without the apostrophe s. Why? I don’t know. That’s just the way it is, folks! I also made a Pinterest board with Reese Spread Recipes. If you love the spread as much as I do, be sure to follow along and check out all the fabulous pinned recipes. Have you tried Reese Spread yet? 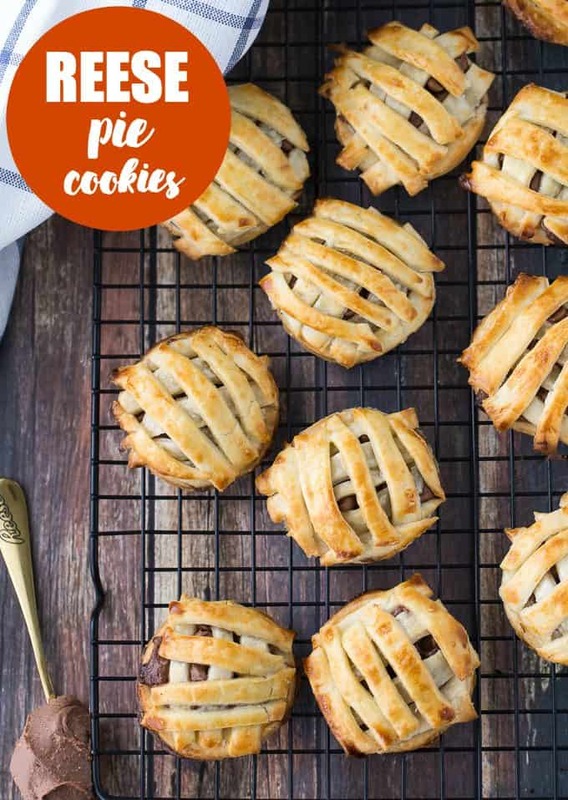 Is it a cookie or pie? You decide. Either way, this is one deliciously simple dessert made with refrigerated pie dough and Reese spread. Cut 12 circles from pie crust dough. Set aside. Cut the remainder of the pie dough into circles and then again into thin slices. Place 1/2 tsp Reese Spread in the centre of each circle. Slightly flatten with the back of a spoon. Sprinkle chocolate chips evenly on top of Reese Spread. Cover the Reese Spread with thin slices of pie dough in a criss-cross pattern. Whisk egg and sugar in a small bowl. Brush on top of pie cookies. Bake for 10 to 12 minutes or until golden brown. Let cool before eating. These Cookies are just amazing. I love how you made these and they sure turned out great! And using refrigerated pie dough makes it easy. I have to make these for my family! I haven’t tried Reese Spread but it sounds so good! what a treat!!!!!!! That jar of Reese spread is all kinds of awesome! This looks like the most amazing cookie ever. WHAT?!?!?! These look so unique and special and … DELICIOUS! I can imagine how much fun my kids and I are going to have making these over the holidays. THANKS! Now that is one cookie/pie I would love to try! Peanut butter and chocolate are my favorite! I love that you turned it into handheld pies. A must try. Thanks for this scrumptious recipe. Yes I have tried the spread and it is awesome! I’ve never heard of Reese spread, but will be looking for it now. Thanks for the recipe!! I don’t care if you call it Reese or Reese’s. 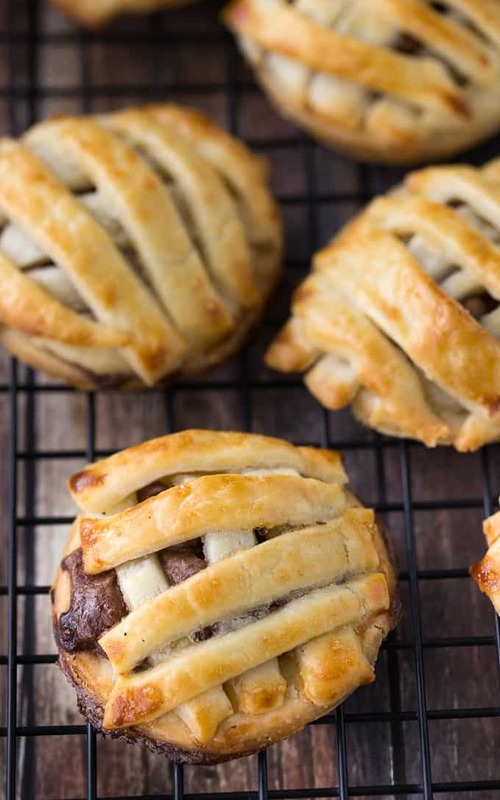 These cookies/pie/whatever look great and would taste yummy. These would be great at a party, so cute and they sound delicious! I’d absolutely love to try these! Sounds super delicious! This looks totally delicious thanks for sharing ! Interesting recipe. I might have to try it this weekend! Oh my favorite things…..Reese’s and cookies! Gonna hold onto this one! They look delicious! I will be trying to make them this weekend! These sound really good. My husband loves peanut butter and Reese Peanut Butter Cups. I will have to make these for him. 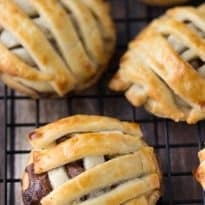 These look absolutely amazing and easy to make. I know my son would love these cookies. My family would love these. Great idea. Super cute! I like the idea of smaller, individual desserts for our thanksgiving this year and this fits the bill! Who doesn’t love a mini pie!?!? i am SO making these for our next worship team planning meeting lunch! Pinned! Stopping by from Wonderful Wednesdays! Wow, these reese pie cookies look amazing. Super easy and so yummy. Loving the addition of Reeses. Great creativity Stacie. Thanks for sharing these yummy pies at DI&Di. We will love these yummy cookies, I need one right now! Hope you are having a great day and thanks so much for sharing with Full Plate Thursday. We really need to try that Reese’s spread. You certainly have a scrumptious recipe for it. Thanks for sharing at Merry Monday. Pinning.